"I JUST NUKED A WHOLE POD OF DOLPHINS...50 POINTS!" "We strongly believe that if the Navy will be allowed to proceed with its plans it will result in catastrophic consequences for marine life off both coasts: East Coast and West Coast." NOTE FROM JEFF: This posting is a last-minute effort to elicit some comments from anyone out there who is concerned about the global situation with our friends and family in the seas, the whales and dolphins. In another day or two the window closes for the branch of the NOAA who supposedly 'oversees' the environmental activities of the U.S. Navy to hear comments from the public concerning 'permits' to be granted to the Navy to 'take' millions of marine mammals, legally and with impunity. 'Take' means 'kill' in no uncertain terms. It's really no more than a ludicrous 'dog and pony show' because, according to StrandedNoMore (with whom I am in close touch and who I regard as being THE top source of reality-based cetacean threat information), the NOAA has NEVER refused a permit request to the Navy. Why? Because the Navy owns and operates the NOAA. This is only one of many inter-related stories that desperately need to be told. In a few days I will be posting a major 'free lance intelligence update' with a big section on the oceans and cetaceans. 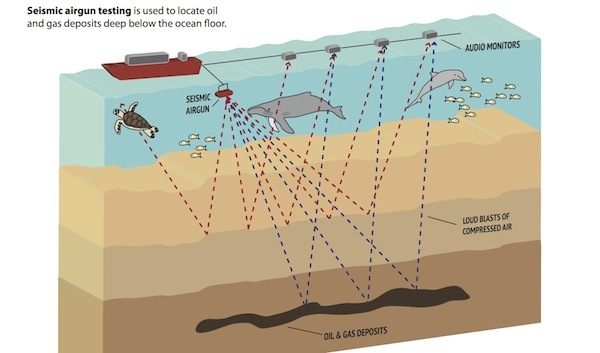 A LOT is going on, and most of it is not good, but some meager progress IS being made in terms of getting the dangers posed to cetaceans by seismic testing for hydro-carbons on to the public radar. Recently oceanographic luminary Jean-Michel Cousteau came out with a statement against seismic testing. The bigger picture, however, is that even naval sonar and seismic testing aren't the real problem, just as the existence of the military-industrial complex isn't the real problem...the REAL problem is that ALL of these things are being done by human beings. 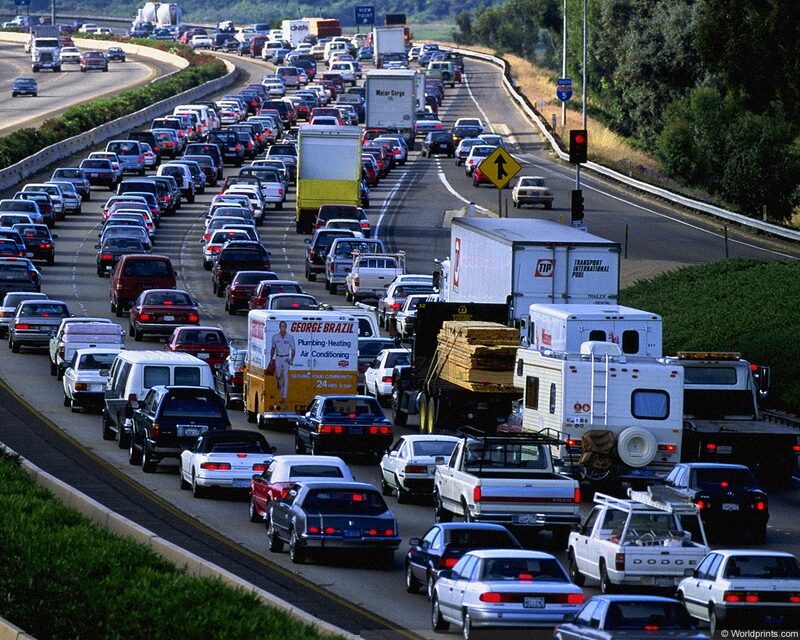 If we really wanted to we could choose to STOP DOING all these destructive things. The real mystery, the question of the ages is, 'So why don't we?" Why indeed? PLEASE take the time to assimilate the information below, and PLEASE take the time to send an email or 100 to the NOAA and make them aware that we're onto their scam and might do more than sign petitions! Of particular note is the post from StrandedNoMore...you can friend them on Facebook, too. "We Are Not Alone...Yet: How We Are Waging War on a True 'Extra-terrestrial Intelligence' "
Dear Mr. Payne, I strongly and urgently insist that you do everything in your power to stop this entire charade of the Navy requesting...and always being granted...'permits' to 'take' marine mammals. We all know that the Navy owns and operates the NOAA as well as the NMFS; we all know that 'take' means 'kill.' Why does the Navy even bother with this whole process...it's going to do whatever it wants to do anyway? 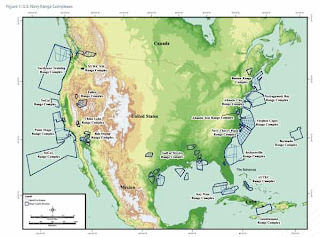 In the same way that gradual progress is being made to create public awareness about the extreme dangers of seismic testing to the health and well-being of marine mammals, gradual progress is also being made in creating public awareness about the fact that the U.S. Navy is THE single greatest threat to the health and well-being of all marine life on this planet. Public awareness of the fact that you and the NOAA actually work for the Navy, as do over 90% of all 'marine biology' researchers, is growing little by little. The fact that the entire 'war on terror' is really just a cover for imperial mobilization, and that the Navy basically works for 'big oil' is also becoming increasingly well-known. Even high-visibility mainstream 'environmental activists' like Jean-Michel Cousteau are beginning to speak out against seismic testing. Below you will find the text of a recent statement he made. 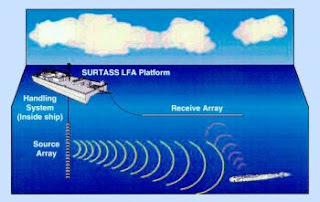 If you substitute 'active sonar' for 'seismic testing' you have exactly the same scenario. To preserve your own dignity and integrity as a human being, as well as to lighten the increasingly negative karma you are accumulating from being a part of this extremely destructive charade, I recommend that you 1) do your best do deny this and any future permits 2) do your best to eliminate this entire fraudulent process and 3) get another job that is honest and that helps to nurture life on our planet, not destroy her. Ours is the only planet we know who has life. 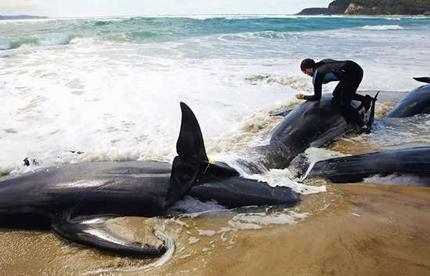 Rosalind Peterson LIVE Report: US NAVY Massacre 11.7 Million Marine Mammals at stake! 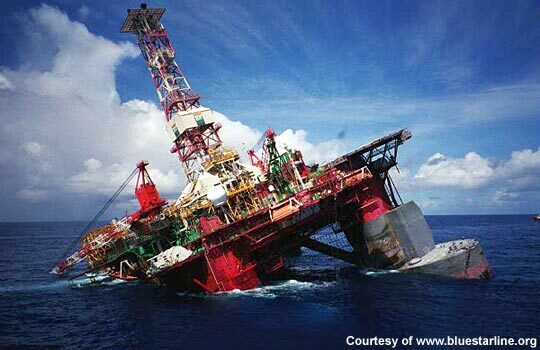 November 5, 2012 is a deadline for public comments on 3 permits that are currently being considered by NOAA. We strongly believe that if the Navy will be allowed to proceed with its plans it will result in catastrophic consequences for marine life off both coasts: East Coast and West Coast. Below are our comments that will be submitted in regard to these applications. Please feel free to use any information, data and references below for your own comments and please consider commenting, it is VERY IMPORTANT. Some information about applications and permits. Currently, NOAA has 3 applications from the Navy and you will need to comment on each of them (link). Two applications are about testing range off the East Coast and one is about testing range in Hawaii/California. The permit applications are huge and very hard to read, for that reason you can use some of our points but also consider to add you own points if you would like. These permit applications are always written in utmost unreadable and convoluted way possible. Michael Payne, Chief, Permits and Conservation Division, Office of Protected Resources, National Marine Fisheries Service, 1315 East-West Highway, Silver Spring, MD 20910-3225. Here is our comment, feel free to use it! 1315 East-West Highway, Silver Spring, MD 20910. There are currently 3 permits being considered by NOAA that will give the US Navy unprecedented ability to cause catastrophic level extinction event for marine life on both coasts: the East Cost and the West Coast. b) The Navy uses complete chaos in the stranding response field both in the US and worldwide to hide the true extent of damage their activities result in. Here are some specific points we would like to make in regard to above premises. 1.1. None of the applications cites crucial recent studies and such omission of scientific data allows the Navy greatly underestimate the true impact of their activities. 1.2. For example the section “6.1.1.3.4 Physiological Stress” completely omits an important study by Lyamin et al. published in 2011 that indicated that beluga whale started showing extremely troubling physiological response at significantly lower levels: “Our data indicate that severe tachycardia developed in the beluga at lower noise intensities (as low as 140 dB); at higher intensities, the HR could reach a twofold excess over the control values and last for no less than 4 min” (p. 278). This study was not even mentioned in current applications. 1.4. The section “6.1.2.1.4 Bubble Formation” does not include very important recent study by De Quirós et al (2012) that demonstrated that decompression related bubbles can indeed be distinguished from decomposition bubbles. 1.5. The section “6.1.2.7 Stranding” does not include any discussion about possibility that mass stranding could be purely behavioral response and how in that case no evident pathology will be present apart from stranding related issues. 1.7. The applications do not mention many past and recent mass strandings worldwide that have been linked to Navy activities, including Cornwall mass strandings (link), unusual mortality event in Cape Cod, MA in January 2012 coincided with Navy activities (link), mass strandings in Florida, Cape Verde (link) and New Zealand (link) that all were associated closely in time and space with “hazardous operations” done by the military. 1.9. The applications do not mention very important recent study showing severe disturbance at very low sound levels. Study by Miller et al., 2011 indicated that killer whales stopped feeding at playback of sonar sounds of 93 dB re: 1µPa and whales started to show the avoidance at 98 dB re: 1µPa. 2. The Navy uses complete chaos in the stranding response field both in the US and worldwide to hide what their activities truly result in. 2.1. 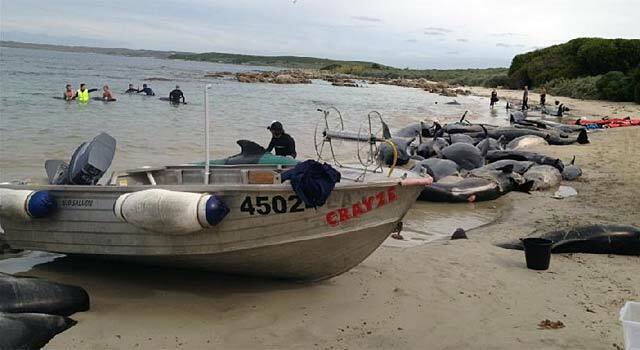 Stranding field is chronically underfunded and understaffed and for that reason many strandings go down either without detailed investigation or with only some marginal investigation such as tissue sampling for example. 2.2. 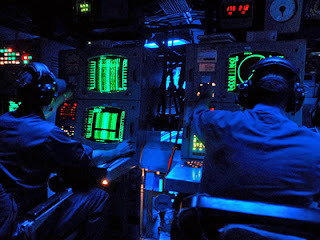 Information about exact locations and types of Navy activities is obscure and hard to find and stranding response team rarely request such information. 2.3. Some testing is time sensitive (such as decompression sickness related embolism) and often cannot be done in timely manner due to lack of resources and trained personnel. 2.4. All of the abovefactors result in situation where it is impossible to connect Navy activities to strandings not because such connections are absent, but because there are no resources or personnel to establish such connections. 2.5. All of the above also indicates that the Navy and by extension NOAA/NMFS greatly underestimate the effects of Navy activities on marine mammals. Finally, there is another serious issue that has not been mentioned in the applications. Specifically, the same area off the Atlantic cost will also be open to seismic surveys exploration (link). Navy’s application does not contain any assessment what cumulative effects such activities will have on marine mammals that sadly will get double exposure to the strongest anthropogenic sound sources at the same time. We urge you to reconsider giving the Navy permits because it will have detrimental if not completely catastrophic impact on marine life off East and West Coasts.